on the Red Planet as well as where it might have come from. that relied on a single data set. find independent proof of methane on our neighboring planet. of Gale Crater — itself long assumed to be a dried up lake. from Rome’s National Astrophysics Institute, told AFP. 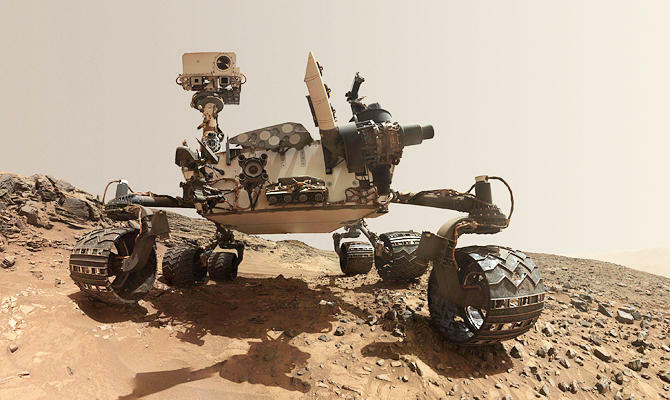 earlier by NASA’s Curiosity rover. crater into grids of 250 by 250 square kilometers. something similar on the Red Planet. use methane as a source of carbon and energy,” he added. been home to simple organisms. extent of the methane ice sheet near Gale Crater. manned missions to Earth, he said.